One of my favorite all-time dishes, huevos rancheros, combines rancheros sauce, corn tortillas, eggs and cheese which tastes so good together. I can eat huevos rancheros morning, noon and night. Huevos Rancheros is inherently a vegetarian dish. Of course, the ranchero sauce is the most important ingredient. 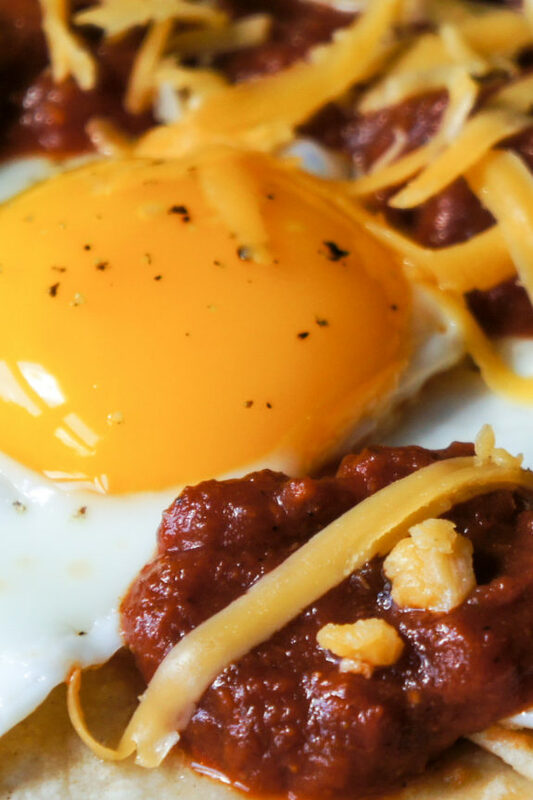 Larry’s Ranchero Sauce provides the all-important flavors or fresh jalapenos, onions, garlic and cilantro that will make your huevos rancheros a success every time. Warm one jar of Larry's Ranchero Sauce in a small saucepan over medium heat. Heat the oil in a skillet and fry two eggs over easy, sunny side up, or however you like them. Warm two tortillas in a dry skillet and place them next to each other, slightly overlapping, on a serving plate. 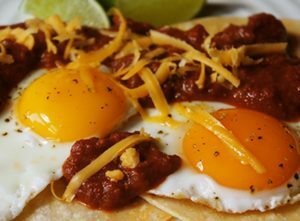 Place the cooked eggs on top of the tortillas, spoon 1/2 cup Larry's Ranchero Sauce over the eggs and sprinkle with the grated cheese. Serve each plate with a wedge of lime and squeeze the lime juice over the huevos rancheros. Repeat to serve four.